Much like hiking, church planting requires extensive preparation, the right tools, and an abiding sense of purpose. Fortunately, Julie Collins Penta is both church planter and mountain hiker. Penta--Lead Pastor of The Grove Church in Fort Collins, Colorado--moved to Fort Collins in 2009 to plant The Grove and attend massage therapy school. Pastor Julie and The Grove began holding services in 2012: three years after Penta moved to Fort Collins. They currently meet in shared space with an established United Methodist Church in Fort Collins. 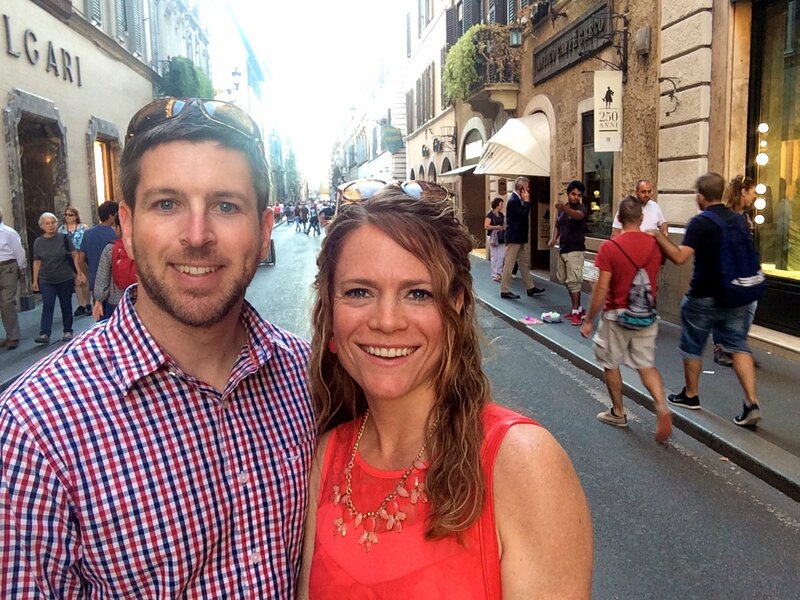 Julie's path toward church planting began in high school when her youth pastor started investing in her life, leadership, and relationship with God. As Julie began to learn about spiritual disciplines, the Holy Spirit whispered hints of a call to ministry. As a teen, she thought, "I wonder what it would be like to be a pastor." Her questions were soon resolved at church camp, where a resounding, "Yes, Lord, yes, Lord, yes, yes, Lord," became more than a catchy worship song; it became Julie's answer to God's call on her life. Fresh out of college, Julie started as a part-time youth pastor in Michigan. Some time after transitioning to full-time youth ministry, God repeatedly spoke to Julie about church planting. "It was everywhere," says Penta. From books to conversations with her District Superintendent, Julie heard God's voice speaking to her in multiple ways. This call was especially discernible when she received a call for a free church planting assessment. Her excuses were no longer valid; it was time to do what God was calling her towards. God has used Julie's "yes" to provide specificity to her calling: transitioning her from a call to pastoral ministry to a call to plant a church. The past four years of church planting have not been without struggles, yet Julie and The Grove Church have seen God's abundant faithfulness. "Right now, we are in a season of growth," Penta said in a recent interview. The Grove recently launched Grove Partners, where churchgoers have the opportunity to engage with The Grove in what God is doing in Fort Collins. One of these partnerships includes a 90-day tithe challenge: give a full tithe to God for 90 days, and if God doesn't do something in their lives, Grovers may ask for the money back. Why? "Because the only thing God has told us to test him in is finances," says Penta, referencing Malachi 3:10. God is drawing people to Himself through The Grove, and Julie continues seeing God's faithfulness through the congregation's influence in the community. Grovers are seeing the marks of whole-life transformation: congregants are reading the Bible for the first time, finding salvation, being baptized, and growing in service and leadership. Marriages have been reconciled through Christian counseling, and outreach is thriving. In fact, many Grovers took their first mission trip to the Philippines this fall. Mentoring people on their faith journey is a continued highlight of Penta's ministry. Having been mentored by inspiring individuals in college, Julie knows the power of the role she serves, especially to young women called to ministry. "Obedience is the most important thing you can do in ministry," says Penta sagely. "I want to look back on life and think, 'I was obedient to the things God was calling me to do.'" Like Julie, we can experience God's multiplication of our obedience. What is God calling you to say "yes" to? Godly obedience is the foundation of Julie's life and ministry, and she encourages other pastors to harmonize with God's direction. She counsels young pastors--both men and women--to further their learning, have mentors, and remain unafraid of failure. Further, she challenges male clergy colleagues to be give women equal representation, providing opportunities to speak and lead on-stage. Penta also appeals to male pastors to be courageous and fight for women in ministry through voicing biblical truth in the face of any off-handed comments that may arise. "Men have more of a voice in the process than they realize," says Penta, gratefully recalling the male mentors in her ministry journey. "Be an advocate," she says. Pastor Julie Collins Penta and her husband, Joseph. Emily Hines is a licensed pastor at Brookhaven Wesleyan Church. She love to read, garden, laugh, craft, and cook. Read more about Emily and our other Staff Writers here.